Sophisticated summer style is yours with the Born Marlys sandals. This women's platform wedge sandal, features an upper consisting of narrow, feminine straps and some cutout perforation details for on-trend flair. The buckled slingback heel strap helps to keep them secure. A breathable leather lining and cushioned footbed with arch support and extra heel cushion feel soft against the foot. 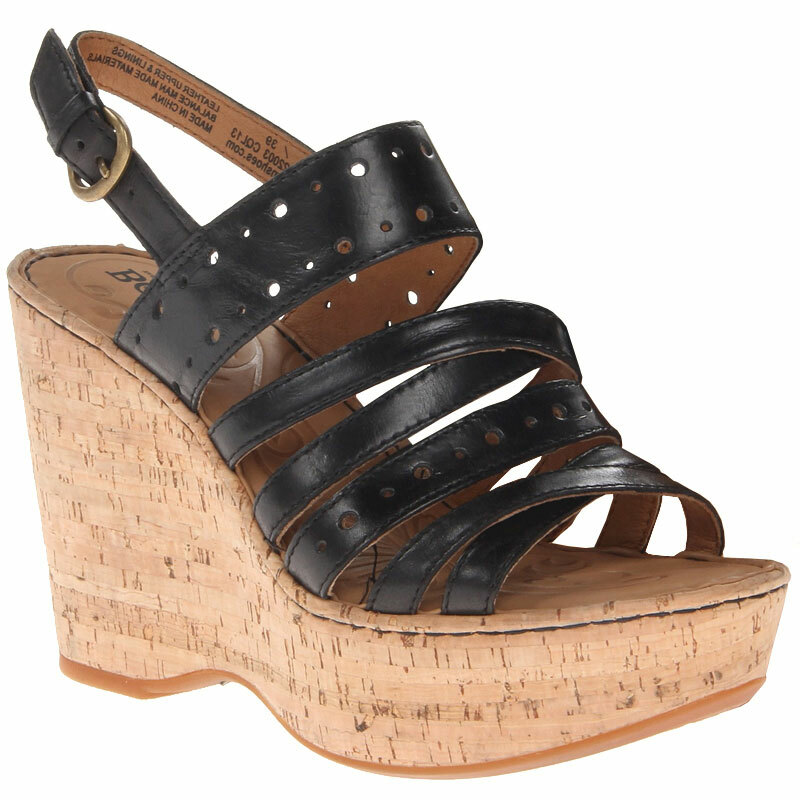 The cork wrapped platform wedge heel has a shock absorbing synthetic sole for stable footing and a smooth stride. You can count on Opanka hand-sewn construction to deliver long-lasting durability. The Born Marlys brings a touch of flirty flair to any warm weather outfit.